Rasam is an important dish in South India prepared using tamarind as a base with addition of tomato and other spices. There are so many varieties of rasam. 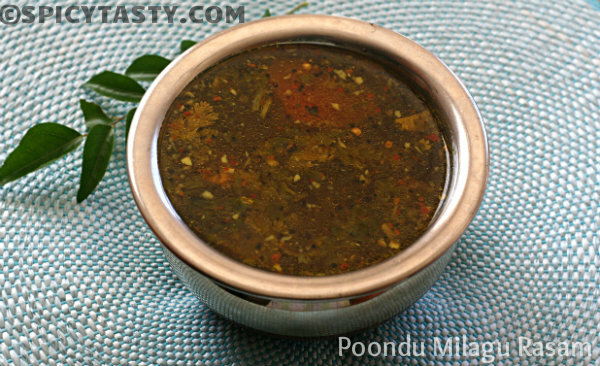 This Garlic Pepper Rasam is the one which I make regularly without addition of dal. This can prepared in 10 to 15 minutes and here is the recipe. Soak the tamarind in warm water and extract tamarind juice of 4 cups. Crush the tomato with hand slightly andd to the extract. Grind the pepper, cumin seeds and red chilly and finally add the garlic and pulse it. Garlic should be crushed nicely but it should not become a paste. Add this to the tamarind mixture. Now heat oil in a vessel and add the mustard seeds followed by the asafoetida, curry leaves and red chilly. Add the tamarind mixture and heat it. 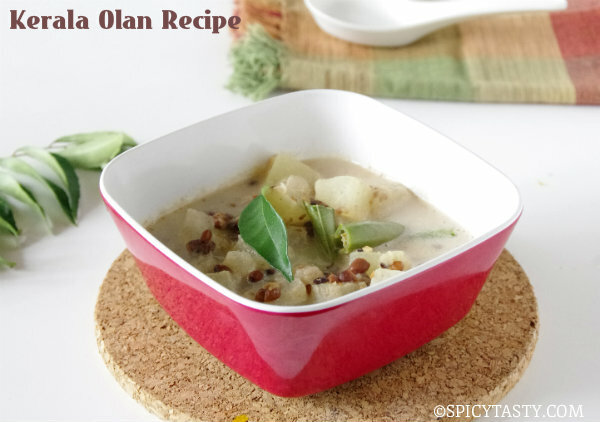 Turn off the heat before just before the first bubble comes and garnish with coriander leaves. 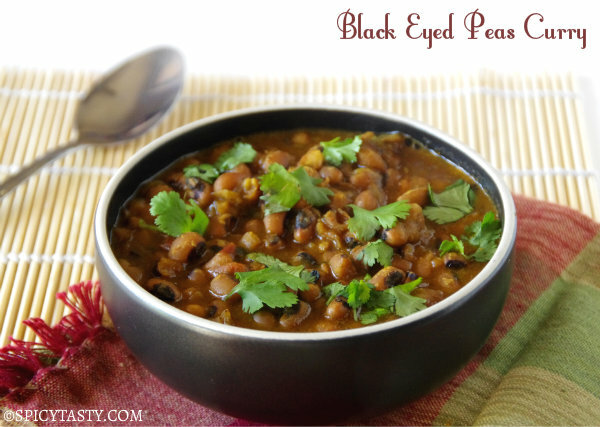 Serve hot with white rice and Potato fry or any dry curry. I love the taste of tamarind…it’s such a wonderful flavor full of depth. Super delicious . Join me in Fast Food Event – Pasta and Know your Natural sweetness – Honey in my blog. Just the right dish for a rainy day. With hot rice and roasted pappads it would be delicious!